Ye Olde town of London transforms over the coming week as many of the clubs and classes take the chance to challenge their patrons (you) to enjoy the Halloween celebrations. When preparing your costumes make sure you leave yourself enough wriggle room to dance and, from personal experience, don't use cheap face makeup unless you want to end up all streaky. If a ghost or a vampire asks you for a dance, say yes and experience an eerily, magical minute or 5. Not everywhere is themed, so do check out LondonSalsa.co.uk to see which parties will be festooned with glowing pumpkins and witches around their cauldrons. 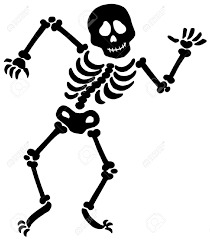 You know why skeletons don't normally take salsa lessons? They don’t have the guts! No body to keep fit! No heart to get pumping! Please heed the ghoulish echo of my message that the events and lessons that appear in this newsletter are merely a miniscule speck of the fun that can be discovered on our site along with our spiders web of related sites, such as bachata.events, ukdance.events, londonkizomba,co,uk or UKSalsa.Dance amongst others. if you know of any clubs or teachers, globally, who deserve to be included, please send them to www.A2Z.Events, where they can list for free. So we are mysteriously one day early with our newsletter this week. Very simply the Pexava monthly Thursday Social is tonight and you deserve the opportunity to share the ambience of Conway Hall in Holborn with fellow salseros and salseras & a selection of the best DJs in town. If you are harbouring vampire tendencies this is a perfect place to sharpen you fangs as Shelley, Gil and team thoughtfully provide orange wedges. 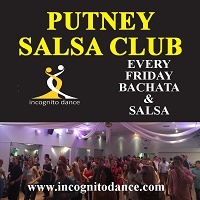 Putney Salsa Club on Friday always offers a bachata lesson before all level salsa classes and their social. Caramelo, in Paddington, this Saturday afternoon/evening host their early evening Halloween social including student & pro performances plus DJ Shaan, who has a freakish method to get you dancing demonically even when some vampire has sucked that last morcel from you. At Bar Salsa Soho on Sunday morning/afternoon, members can claim £5 off the Intro to Rueda workshop delivered by Alastair. 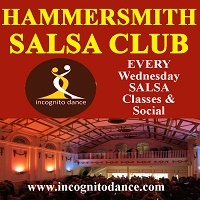 For the evening, please note that Incognito will undoubtedly scare you witless in Fulham social, with a 50/50 salsa/bachata mix. 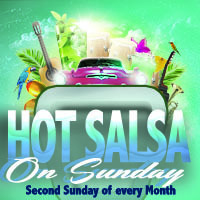 Sunday night salsa at the Theatre Royal Bar in Stratford is free. 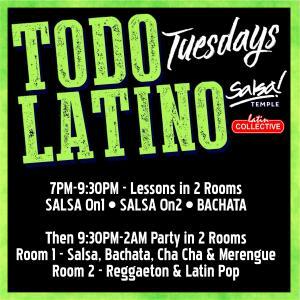 Mondays could be quite horrific if it weren't for the plethora of salsa classes across the capital. From Deptford, Ruilslip, Wimbledon and Temple, where bachata and cali salsa are taught. And if you ask nicely in advance, you can be on their free guest list for social dancing. Streetbeat will be sending shivers up your spine at their Tuesday salsa/rueda lessons in Camden. 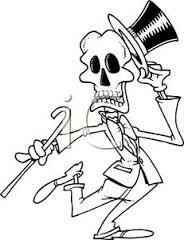 You don't need your skull examined to claim a first beginners lesson free in Hammersmith any Wednesday. In Finsbury Park both cuban and crossbody classes for all levels come with a special offer. If that isn't enough salsa to enthuse you to have a devilishly delicious weekend of dance, followed by blood curdling week of lessons then I urge you to pop onto the site for more inspiation. Dancing this week is so important as it will raise your spirits, especially as mental health issues seem to be topping the bigger agenda.